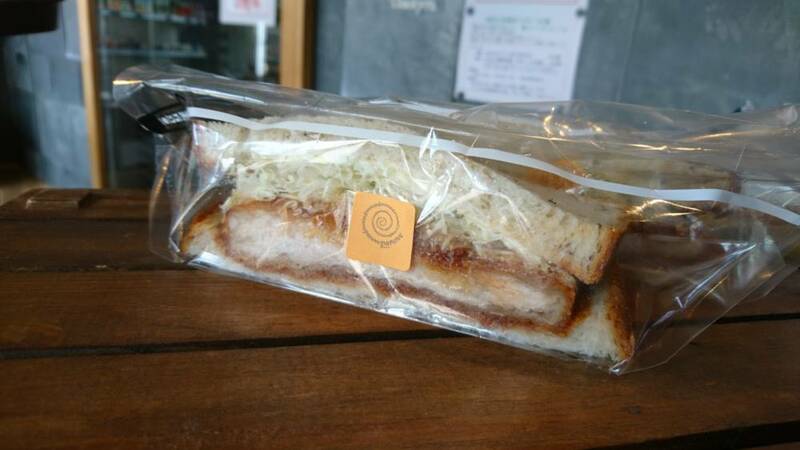 A chicken cutlet of “Toriichi,” a local yakitori-shop, is placed in chewy whole rice bread. Enjoy the harmony with fresh cabbages, veggie-flavored-sauce and spicy mustard. Sold on Saturdays only.